The Killing Moon is the first book of the Dreamblood, a new Egyptian-inspired fantasy duology by N. K. Jemisin, whose Inheritance trilogy has books that were nominated for the Nebula, Hugo, and World Fantasy Awards. It was released in trade paperback and ebook earlier this month, and The Shadowed Sun (Dreamblood 2) will be available next month. Rest assured that despite the small wait between volumes, there is no cliff-hanger ending at the end of The Killing Moon, and the next book has a different set of main characters. This novel’s storyline feels resolved, but it also definitely leaves space for exploring what happens after this resolution. Gujaareh is a land of peace devoted to the worship of the dream goddess Hananja. To maintain this peace and order, their warrior-priests (or Gatherers) are trained to kill, both by physical and magical means. Gatherers must be able to hold their own in a fight, and they must also be able to sneak into homes where they send those they have been ordered to kill to their favorite place in a dream – where they remain forever once the Gatherer has cut their ties to the waking world. In return, the Gatherer collects their dreamblood, which can then be used to help others, such as by healing those who are ill. Sometimes a Gatherer is sent to kill the corrupt and other times they are requested to bring peace to those who are suffering or dying, but a Gatherer does not question the rightness of his actions. He does what he must in the service of Hananja for the benefit of all Gujaareh, as have those who came before him. Ehiru, the best of the Gatherers, has had to spend more of his nights gathering with the recent death of his mentor. On one such night, he has an experience he has never had before that shakes him to his core – he performs a Gathering that does not go well and does not end peacefully for the corrupted merchant he was sent to kill. While it does not have him questioning his faith or purpose of Gathering, it does have him questioning his abilities – at least until he is sent to kill Sunandi, a spy from neighboring Kisua. Sunandi has been investigating the circumstances of the death of her own mentor, and she is quite horrified when she uncovers the secrets he learned before his untimely death. When Sunandi mentions some happenings that correspond with Ehiru’s experiences on the night of his Gathering that went wrong, it makes him question the reality of Gujaareh’s structure and what is going on beneath the surface. The Killing Moon is a fantastic book and my personal favorite I’ve read so far this year. 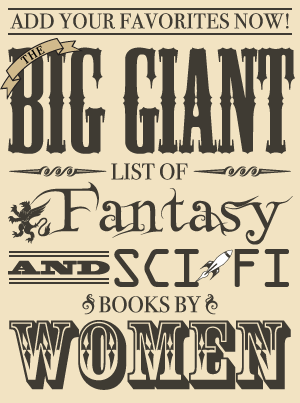 It’s a book that excels on all levels – the writing, world, characters, and story all worked for me. In fact, I’m having trouble thinking of anything that I didn’t like about it. It was a little slow a couple of times, but it wasn’t really slow enough for long enough that it stands out as a flaw to me. It also didn’t have the same emotional impact that came with a single main character’s viewpoint in the Inheritance books, but that didn’t really bother me, either, since I thought this was a stronger book overall and it did still have memorable scenes. First of all, The Killing Moon is very different from the Inheritance books in quite a few ways. It’s told from multiple perspectives in the third person instead of one first person viewpoint so it doesn’t have the intensely personal, chatty narrative style the previous books did. Also, there’s no romantic subplot and the world is much more ordered than the chaos of the godlings. For all its differences, there are some general similarities since Gujaareh is influenced by its goddess even though she and the other gods aren’t out walking among the people and there is a theme of history being rewritten by those in power. Even with the feeling of more distance from the characters, I found them more interesting than many of the ones in the Inheritance novels and I was still rather attached to some of them by the end. From the very opening chapter, I was drawn in by the way it detailed a night of Gathering for Ehiru. It was very dark, but I enjoyed seeing this from Ehiru’s perspective, particularly as it introduced him as someone with the qualities Sunandi later noted – a blend of compassion and ruthlessness. Despite being a killer, the first time we see Ehiru kill is out of mercy for an old dying man who is perfectly content to leave his misery behind. Yet in the same chapter we also see him kill someone who doesn’t really want to die in the Gathering that goes wrong. Ehiru is one of those people who absolutely believes he is doing the right thing and has faith in what his religious system has told him. The assassin with a heart of gold is a common trope, but Ehiru isn’t doing it for money or survival but out of pure religious fervor. In spite of the way he holds fast to this belief system, he is very likable. He questions what he believes when presented with evidence, and he is kind with great strength of character. Throughout the book, he also has to fight his own internal demons since there is a struggle Gatherers must face against their own nature the longer they collect dreamblood in this manner. While I’d call Ehiru the main protagonist, there are two other major characters, Ehiru’s apprentice Njiri and Sunandi, the ambassador from Kisua who discovers all is not right in the nation-state of Gujaareh. Both of them were great characters. Njiri is newly apprenticed to Ehiru and has to face a tough test under the circumstances. He is both naive due to his young age and wise for his young age and he has lots of resolve and inner strength. His relationship with Ehiru is complex, as Njiri seems to view him as a mixture of father, mentor, savior, friend, and someone he has romantic feelings for. Sunandi is a savvy spy who understands politics well, and like the other two she has lots of determination. All of them encounter tough situations that showcase just how much inner strength they all have. What I really enjoyed about getting the perspectives of all three of them is that Sunandi has completely opposing views from the two Gatherers, yet I could understand both perspectives and relate to all three of them. Sunandi finds the practice of Gathering and the way Gujaareh is run abhorrent while Ehiru and Njiri believe death is a natural part of the life cycle and not to be feared. Both viewpoints are a result of their cultural upbringings, and both of them make sense based on the experiences these characters had. While these three are the main characters, there are several other perspectives, including one of the other Gatherers, the Superior of the Hetawa (Hananja’s temple), and the Prince. All the different characters were very believable with realistic motivations for behaving the way they did. The villain had no qualms about doing terrible things but also had some motives that made sense. There were reasons for being driven to the point of villainy, and it was not just due to an innate evil nature. This is the type of villain I like, one who is capable of evil but also didn’t set out on the path of evil until there was a motivation that set it in motion. What continues to impress me about N. K. Jemisin’s writing is that it is simultaneously simple and complex. It’s easy to read and follow, but at the same time there is this huge, well-constructed world to discover over the course of the novel. This world with its social structure and rules is detailed and fully fleshed out, and between that and its characters, it seems vividly real. N. K. Jemisin has real skill in weaving this into the story – it’s very different from our world, but it’s also not told in one big infodump and it’s also not terribly confusing. It’s told by being immersed in the story, through living it, through the eyes of the characters. As the story continues, more is learned about the world and the rules of the Gatherers. Part of this is through some interludes discussing some myths and the few opening lines at the start of the chapters, but it all ties together beautifully to paint a picture of Gujaareh. The Killing Moon has many familiar themes, including many of my own favorites such as power, corruption, religion, the pursuit of truth, and ingrained cultural societies that are not as ideal as they may seem on the surface. Taken by themselves, these are not incredibly original themes (although they are ones I am personally drawn to and love to read about), but both the story and the amazing world-building contribute to keeping them from feeling at all recycled or stale. 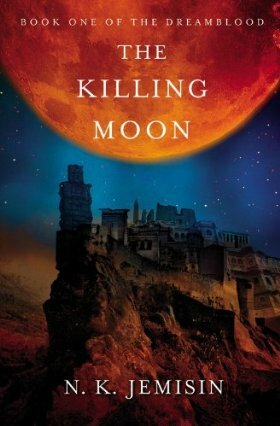 I loved The Killing Moon; it is exactly my sort of fantasy book. It’s dark, not all ends happily, and there is a price for magic. The characters are likable but face difficult decisions that put them to the test and exhibit what they’re made of. At the end of the book, they’re not at the same place they started from but have learned over the course of their journey. All this takes place in a well-built, detailed world that gradually unfolds and is vividly alive. Reading The Killing Moon was a treat and I can hardly wait to see what’s in store in The Shadowed Sun.